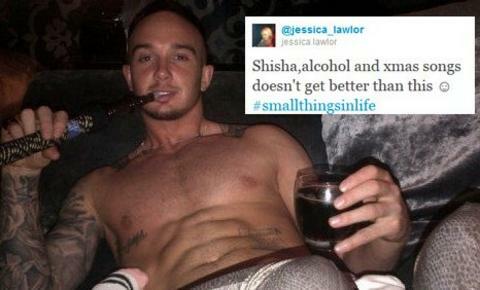 Aston Villa boss Alex McLeish has urged Stephen Ireland to create headlines on the pitch following the appearance of a controversial photo on Twitter. The picture was posted on the account of Ireland's girlfriend, Jessica Lawlor, on 22 December. It shows Ireland wearing silver snakeskin trousers, with a smoking pipe in one hand and a drink in the other. McLeish said: "You don't want to be bringing attention to yourself. It is not something I want to be discussing." He added: "Was it a shisha pipe [Arabic smoking pipe] or something? I don't know what is in that stuff. For all I know he could have been blowing bubbles into it or something. "Any opinion I have on that will be delivered to Stephen rather than discussing it in the newspapers." Ireland joined Villa from Manchester City 18 months ago but is yet to cement a first-team place at the club. McLeish said: "He has been training well and played really well in the first half of the Arsenal game [on 21 December]. "He's got to take that kind of attitude into other games. We know what he can do when he has got the ball. We know he has a got a decent touch. "But he showed the other attributes in the Arsenal game with his closing down and harrying of people. He has to do more of that. "We know that he has not really done himself total justice in a Villa shirt. There is still a chance for him, there is still a chance for everybody. "There will be opportunities over the next two or three games for him to show us what he is really capable of."